If you’re looking to get the most out of your trip to St. Lucia, making an itinerary of places to see and things to do is a good way to get started. We’ve come up with a few key spots and activities that you must see and do before you leave the Island. 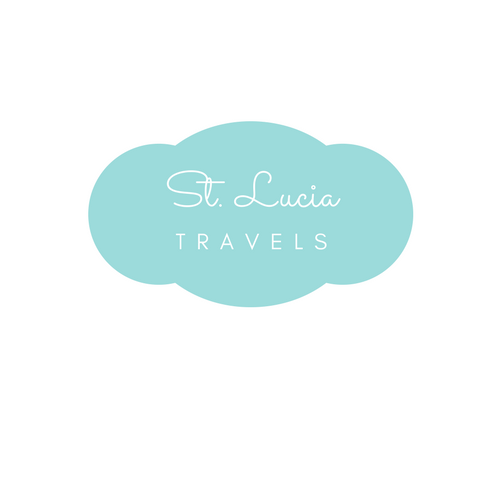 This is the perfect step by step itinerary for visiting St Lucia. Explore the Island. Start to get a feel for what St. Lucia can really bring to your holiday, book a couple of activities and make a reservation for later in the week at a nice restaurant. Talk to the local people or others that have been on holidaying for the past few days to see what you really want to do. The best of St Lucia with our past reader Augustina! Visit the beaches of St Lucia. There are many beaches along the coast of St. Lucia each with their own unique beauty. Rodney Bay is home to some of the most popular resorts and hotels on the island along with a lively night-life and exquisite golden sand beaches. Marigot Bay is another bay famed for its natural beauty and was famously described by American author James A. Michener as “The most beautiful bay in the Caribbean.” Of course, the best way to see everything is to take a day tour of the shores and with travel methods including boat, ATV and segway. Hike the Pitons. The twin volcanic peaks located on the SouthWest of the Island are one of the most amazing sights of the Island. The two peaks, Petit Piton and Gros Piton, are a great attraction for hikers with Gros Piton being the more popular with an easier climb. But whether you want to take the guided hike or just sit back and soak in the magnificence of the Pitons with a locally branded Piton beer, this is a must-have on your checklist. Outdoor Activities. There is so much that you can fill your day with on your trip to St. Lucia including, Horseback riding, Rainforest walks, Aerial tram & zip line tours, watersports, buggy adventures, fishing trails and many more. Depending on what you want to get out of your trip to the Island there will be something for you. Take today and do something that you have never done before. Visit Pigeon Island. Pigeon Island National Park is a great day trip with everything from 360-degree views, history, and relaxed walks. Pigeon Island was the site of many historical sites including Fort Rodney situated at the very top of the Island where the best views are to be had. With a restaurant at the bottom of the island, you can spend the whole day here on the once separate islet. See the Diamond Falls. Diamond Falls Botanical Garden, situated near Soufriere, is the perfect tourist destination if you are looking to marvel at the wonderful beauty of nature that is abundant in St. Lucia. This six-acre site is a peaceful and attractive retreat away from the outside world. You can take a walk through the diverse landscape filled with plants and shrubs of every color, visit the mineral springs and historical baths and finally marvel at the Diamond Falls waterfall. The waterfall is especially unique due to it’s forever changing colors due to the minerals found in the water here and a must see whilst visiting the Island. Shopping. If your time on the Island is limited to the week take the last day to go shopping. There is a great shopping experience to be had in the Capital of Castries but outwith the capital in many of the villages, you will find street vendors and markets. Even if you don’t buy anything its great to look around at the local produce. As well as the above activities and places to see there is a diverse number of activities and excursions that you can go on. So no matter how you wish to spend your days on St. Lucia, there will be something for everyone. If you love our 7-Day step by step itinerary for visiting St Lucia – Pin it to your Travel board.